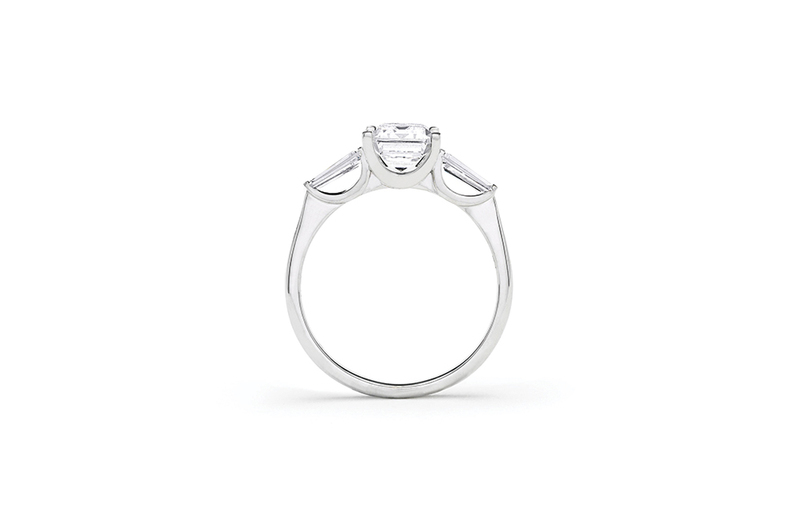 This Art Deco inspired ring balances architectural lines with soft curves for a beautifully modern effect. 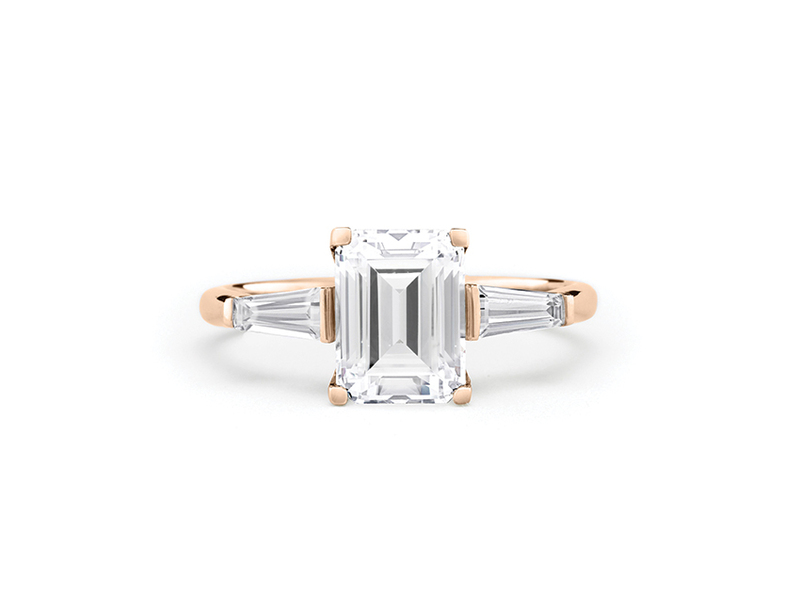 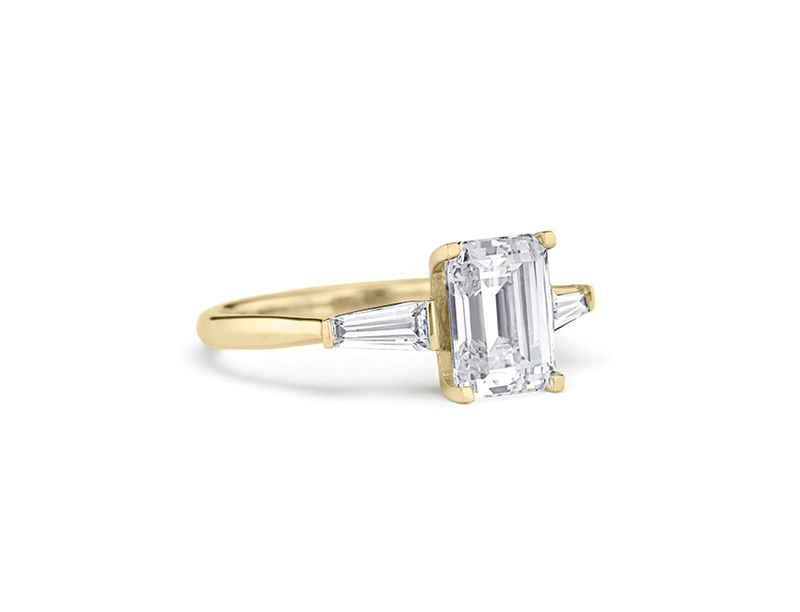 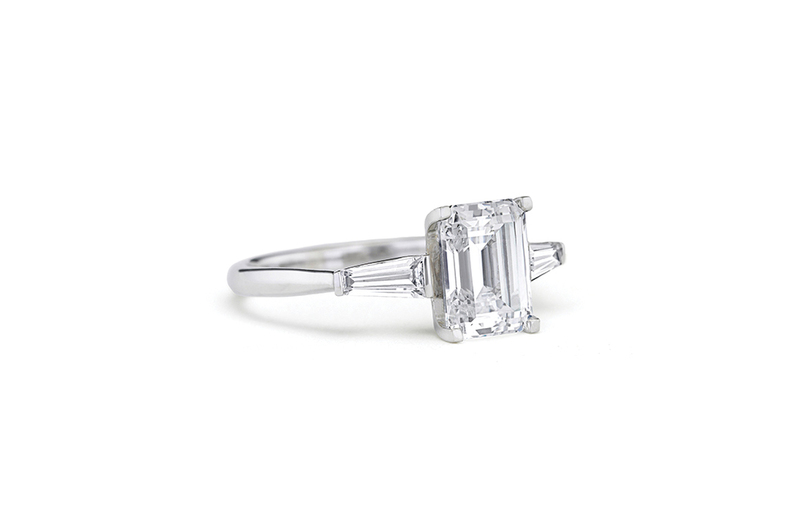 Four squared prongs suspend an emerald cut diamond atop an airy basket setting. 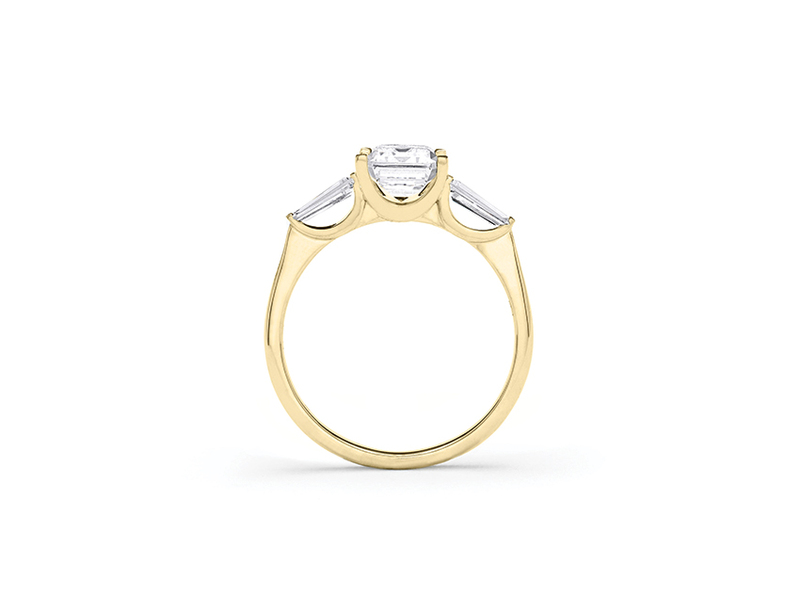 Two baguette diamonds taper into delicate channel settings, and the arc shaped windows beneath them reflect light throughout the ring.